Ted Nugent wasn’t born with a guitar in one hand and a bow in the other – it just seems that way. Ted, aka “The Nuge” and “The Motor City Madman”, first picked up a guitar around the age of 6. His hunting career started soon thereafter. Ted brings a hard-charging energy to both the stage and the field. 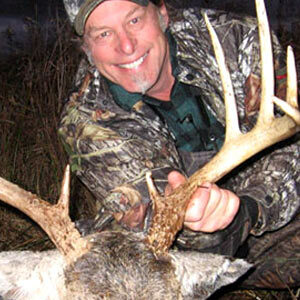 He’s been able to share his love of hunting as the host of Ted Nugent Spirit of the Wild on Outdoor Channel. He also founded Ted Nugent’s Kamp for Kids, with the goal of teaching kids ages 11-15 marksmanship, first aid and outdoor skills. “The future of the shooting sports in this country is in the hands of tomorrow’s outdoorsmen and women.